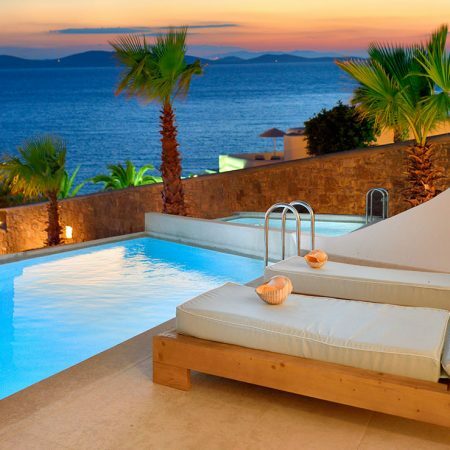 Stylish elegance immersed in the sensory beauty of nature, with views of endless blues A feast for the eye… and for the spirit! 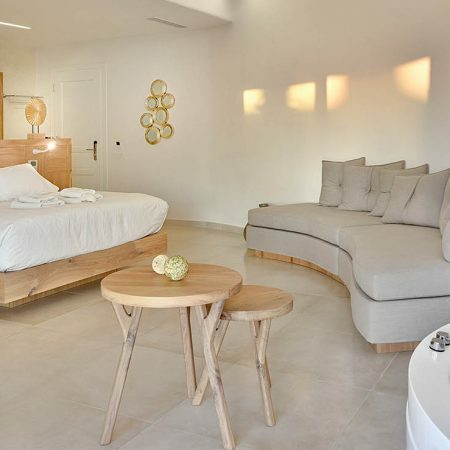 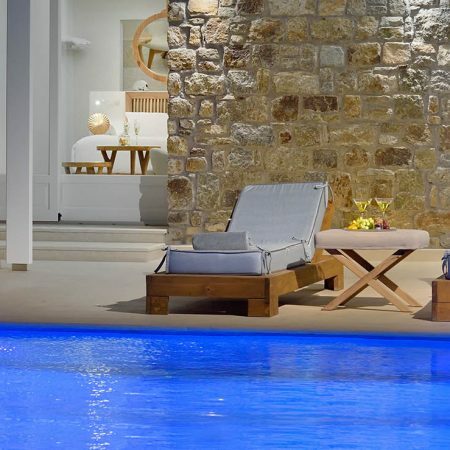 The beauty of the Mykonian surroundings is celebrated with a modern curvy design and décor. 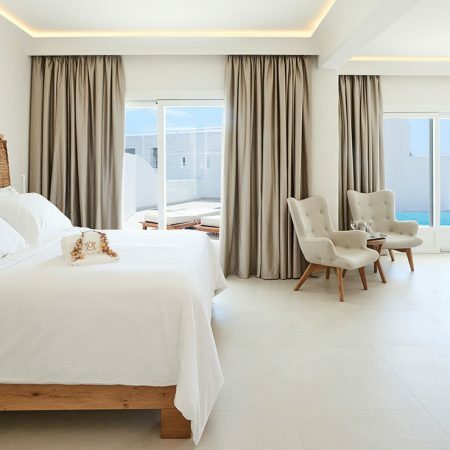 Pure white tones are combined with earthly hues, while spacious layouts, luxurious bathrooms and indulgent bedding tempt to immerse guests into peace and serenity. 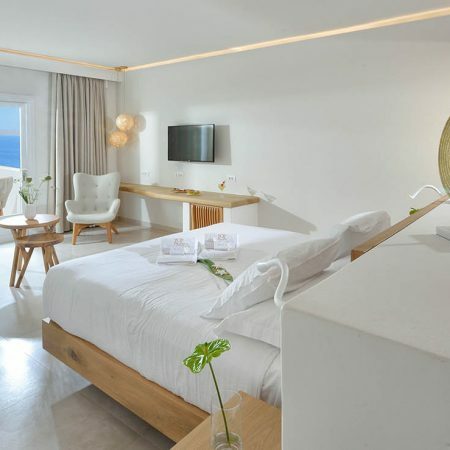 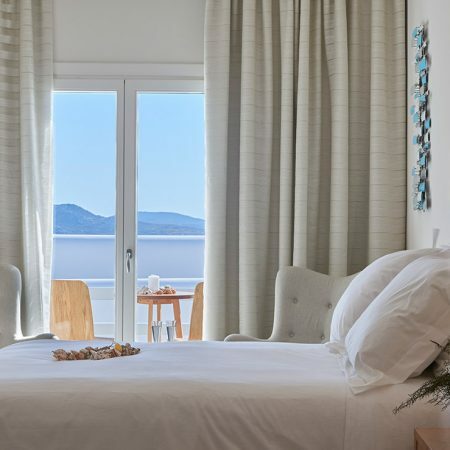 Alongside all modern conveniences, guests seeking privacy and relaxation will also most surely enjoy the discreet charm of the rooms with the amazing view of the Aegean blue. 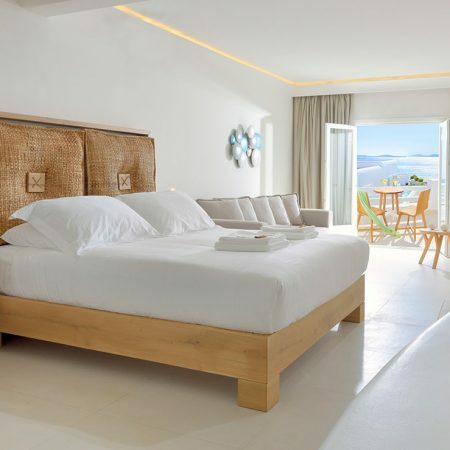 Enjoy the sun, sea breeze, and the perfect harmony of the island’s nature. 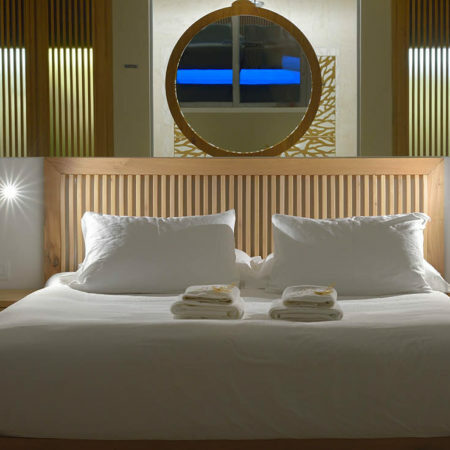 Exclusive facilities and amenities ensure personal comfort at all times. 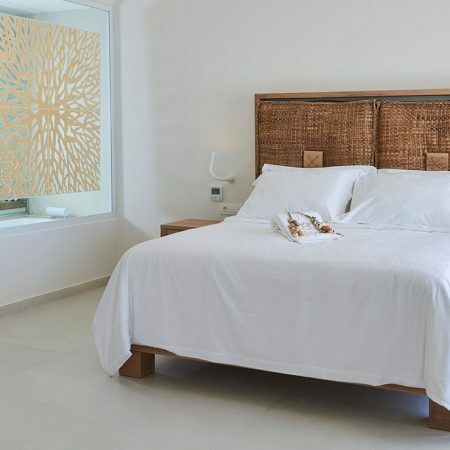 Our staff is prepared to fulfill your needs, with all the kindness and services one would expect from a private resort.